The charm of a fresh cut Christmas tree has been tricky to replicate till now! We’ve compiled nine top-rated artificial Christmas trees that look just like the real one, & they are even durable enough to be stowed away for holiday enjoyment year after year! The hassle to have a real Christmas tree is that you need to find the perfect looking tree & cut it on your own & further it dries out soon! With so many places to buy artificial Christmas trees, it can be challenging to find the best tree for you. Different types of them would drive you crazy as to which one to buy! This guide will help you so that you can find a tree that you will be proud to display this year! Here we have tried some creative ideas for artificial Christmas trees for your home interiors! Do you know what is good about these kinds of Christmas trees? Is that you don’t need to put Christmas lights around it anymore! It is pre-made & yes it is wonderfully done! Before tiny light bulbs were used for this kind of pre lit Christmas tree, but lately, the fibre optic ones have become more in demand & look nicer! If you would look at this Christmas tree closely, these are bundled like nylon! Lights are not limited to white because different colours are available! 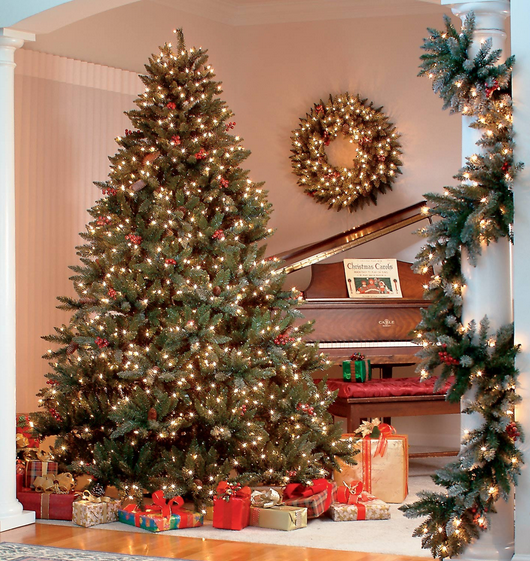 It is one of the most common artificial Christmas trees & is more preferable! This colour looks very classy! It can be the reason why some people choose to have a sparkling Aluminum or Silver Christmas tree at home. The good thing about it is that, they are light reflectors & even if you don’t put-up the Christmas lights around it they still seem to glow! Further, you can decorate it with your favourite & awesome Christmas ornaments! People often arise question-Why do some people set-up this wall Christmas tree? Some trees come in very small packages. For folks with limited square footage like an apartment or condo to decorate but who still want a tree, it is the ideal solution. It is a space saver! The best part is you won’t even have to worry, if falls when there are running kids or pet in the house. Whether you make it grand or something simple is your choice! There are many more wall Christmas tree ideas you will find in the market around! You can also adorn your favourite & awesome Christmas ornaments over it. You can even get pre lit Christmas tree to hang on the wall, it’s cordless & powered by batteries! You can also set a timer & it stays lit for a required period. These types are the best for tabletop artificial Christmas trees. Usually, people who are too busy to decorate or some who are living alone usually use this option! But to some who already had huge trees & yet they still choose to put up the little tree on their dining table or living room tables. 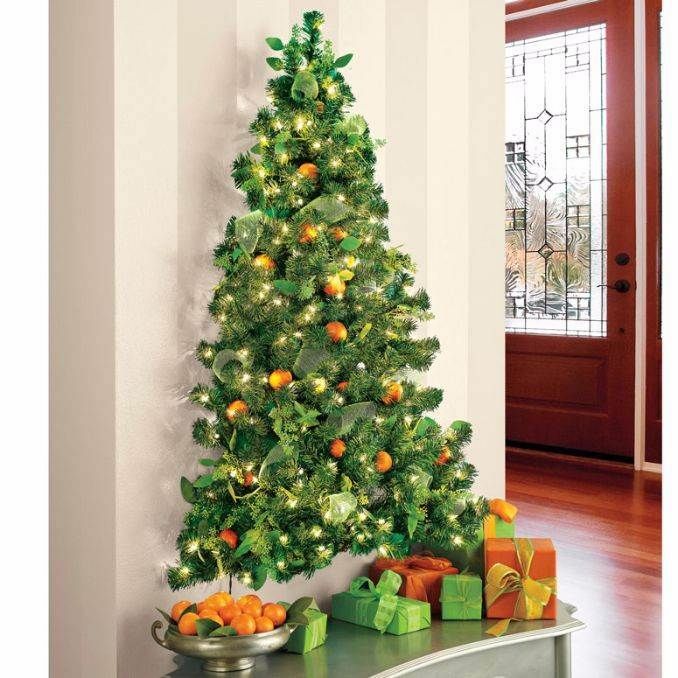 You can use real or artificial Christmas trees as per your choice along with the awesome Christmas ornaments! It spreads the Christmas spirit all over your house! Some of these tiny trees can be of DIY (do it yourself) projects by using crafts materials! Ceramics are very much famous as small table topper Christmas trees. Though they are small, are also available in various sizes! Outdoor Christmas Decoration:19 Best Ideas for Your House!